According to the websites we find today on the internet, there are dozens of types of Satanism. I will only present here five of them which are the most widespread today. Many will not agree with the fact that I put Devil Worship along with Traditional Satanism, but according to history, these are one and the same. 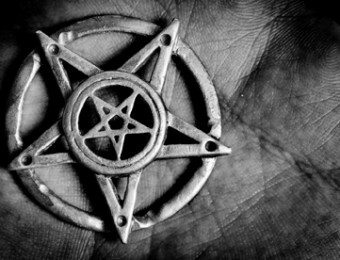 Because of the birth of the atheistic Modern Satanism, a lot of people started considering Traditional Satanism (and the new “Theistic” Satanism) as being the “theistic” type of Satanism. Many people consider that a traditional Satanist is simply someone who considers Satan to be an entity, being the opposite of the Modern Satanist who considers Satan to be a mere symbol. This is theoretically a confusion, because a religion cannot be “atheistic” and that takes Modern Satanism out of the scheme. Satanism, being considered a religion in its own right can’t be atheistic. Traditional Satanism is the type of Satanism that exists only in families of Satanist who have traditions and carry out the old teachins. It is called traditional because it is based on tradition. And tradition means “to pass on” from the Latin word “traditionem”. This “traditionem” is a custom or belief that has been passed on from generation to generation, either through word-of-mouth or by writing such as family journals (private grimoires). This means that if someone has a tradition that he follows, he is a traditionalist. Contrary to the general opinion, the authentic Traditional Satanism represents around 10% of the Satanic community. Traditional Satanism is the same with Generational Satanism and is sometimes synonymous with Devil Worship. If we are to view this religion from a historic point of view, it has its roots somewhere in Medieval Witchcraft and Elizabethan-era Witchcraft and better adapted in 18th to early 19th century France. According to some Satanists, these would be the descendants of the “black” Witches from the Medieval times because most of the practices and beliefs are almost the same as those of the witches in the Middle Ages. The basic beliefs of Traditional Satanists are the belief in the Devil, in God, Heaven and Hell and in the Antichrist, but these may differ to some extent. Another possibility supported by some is that the traditions are coming from somewhere in the first century Gnosticism, especially from the teachings of Gnostics such as Simon Magus and Menander who affirmed the existence of a god superior to the Creator (who is actually a Demiurge) but also their followers such as Carpocrates, who is said to have performed rituals in the name of another God. Of them we could say, were the fathers of heresy in Christian era. Other traditions like Demonolatry say that the roots of their religion, which is a branch of Satanism come from antiquity especially from Egypt. For more information, read the article Traditional Satanism. The Sinister Path is a type of traditional Satanism developed by the organization Order of Nine Angles in the early 1980’s by the founder Anton Long. They have a particular tradition which combines elements of paganism, hermetism, Satanism and a high doze of anticosmism, a personal pantheon of ‘dark gods’, and a goal of creating a new man, similar to Nietzsches’ Overman, which they call Homo Galactica. Though it is an organization, the members are not initiated by others, buy are self initiated through personal grade rituals and challenges, an ascension they refer to as Seven Fold Way. A better presentation can be read in the article Order of the Nine Angles. I personally like to call it Individual Satanism because it seems absurd to call a religion theistic (if it is a religion, it must be theistic). I call it as such because unlike Traditional Satanism, this has no set of rules or strict beliefs to follow. It is highly individual, independent from any tradition. Rather it creates its own traditions and beliefs. 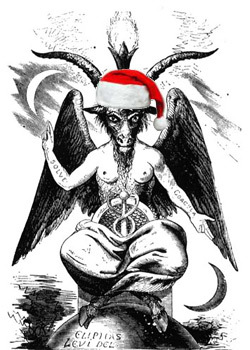 Unlike the Traditional Satanist, he is free to expand his practices and beliefs according to his feelings and to borrow from many traditions and beliefs (i.e. 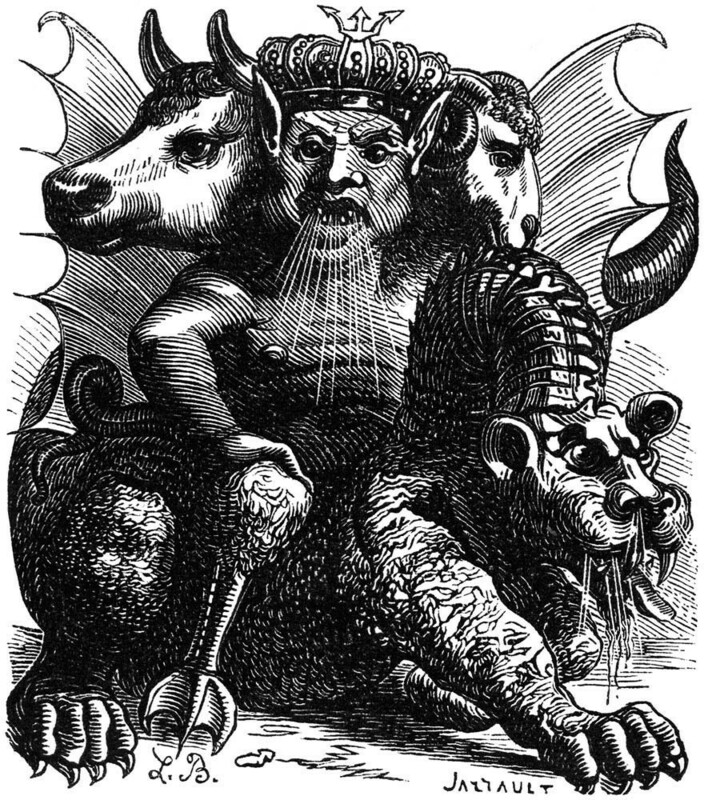 demonolatry, goetia, chaos magick etc.) to create his own type of Satanism. You may even called it “personal Satanism”. 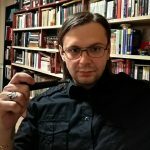 A great dispute between the adepts of Modern Satanism and those of Traditional Satanism exists since many years. According to their rivals, they cannot be considered Satanists because they do not worship Satan and don’t view him as an entity. 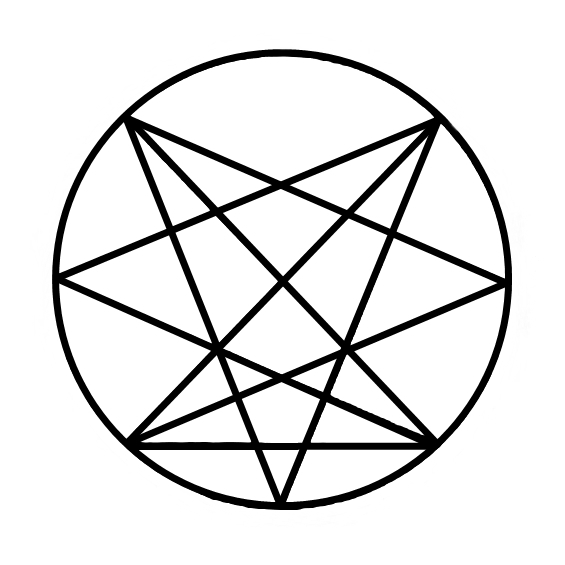 They consider that Satan is a mere symbol, or in some cases an energy that they use. It all began in the year 1966 when an individual named Anton Szandor LaVey decided to create a religious movement based on his philosophy of life and Satanism. 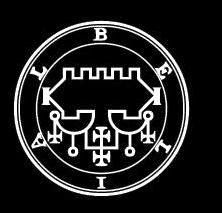 This movement was later called LaVeyan Satanism who later became synonymous with Modern Satanism in the time of the foundation of C.o.S. (Church Of Satan) and the apparition of the Satanic Bible, both created by Anton Lavey. Essentially, the “laveyan” movement represents a philosophy which helps the individual to separate himself from his former religion, especially Christianity and to introduce him in a certain way of “Satanic” thinking. They say that the only god is yourself and that the gods of the old religions are some kind of archetypes. Mostly, the whole philosophy of the religion current can be found in the Satanic Bible which has been vehemently criticized as being a veritable copy of the book Might Is Right by Ragnar Redbeard. They have been criticized for years, being considered atheists, narcissists and humanists. Spiritual Satanism appeared somewhere around the year 2002 if I’m not mistaken, under the leadership of a lady Maxine Dietrich, the head of “Joy Of Satan” organization from America and the founder of this ideology. Their beliefs consist mostly on Sumerian mythology, affirming that Satan is an extra-terrestrial being named Enki/Ea or Ptah (though, I must make the notification that these gods theoretically have no real connection to Satan. Enki being a Sumerian god who later became known in Babylonian mythology under the name of Ea. Ptah/Phta/Fta is an Egyptian god corresponding to the greek god Hephaistos and the roman god Vulcan who, according to the legend, created the Earth) who came via spaceship to help humans and then came back to his planet Nibiru.